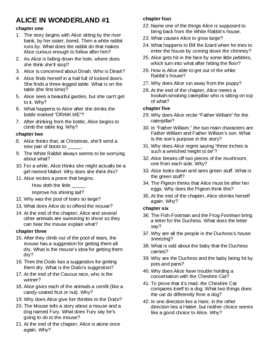 Short-Answer Tests for Alice in Wonderland and Through the Looking Glass--155 questions altogether. Answers are included. There are four tests: two for Alice in Wonderland and two for Through the Looking Glass.